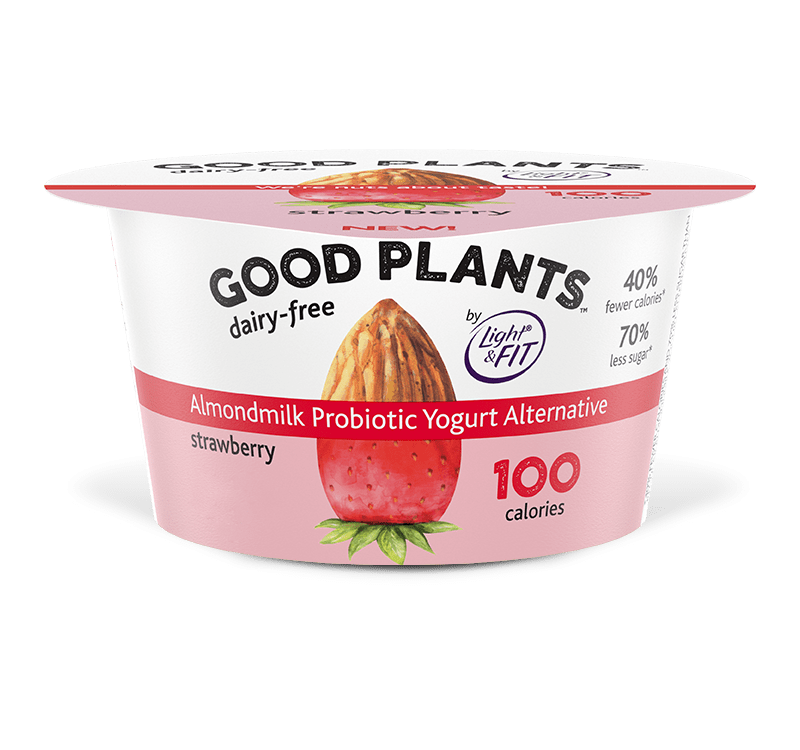 Indulge in summery strawberry taste in a delicious and creamy almondmilk probiotic yogurt alternative. The flavor you love made with the goodness of plants! Almondmilk (Filtered Water, Almonds), Chicory Root Fiber, Fava Bean Protein, Food Starch, Strawberries, Cane Sugar, Contains less than 1% of Pectin, Strawberry Juice Concentrate, Natural Flavors, Citric Acid, Fruit and Vegetable Juice (For Color), Stevia Leaf Extract, Active Yogurt Cultures L. bulgaricus, S. thermophilus, & B. lactis. BB-12® Probiotic. Contains Almond. Produced in a facility that processes other tree nuts and soy. 40% fewer calories and 70% less sugar than regular almondmilk yogurt alternatives. Regular Almondmilk Yogurt Alternative: 170 cals, 10g fat, 13g sugar per 5.3 oz. Good Plants is proudly Non-GMO Project Verified! The Non-GMO Project Verified Seal signifies that Good Plants is in compliance with the Non-GMO Project standard. We’re honored to qualify for this distinction.